The revolutionary new way to make repairs. ADOS 121 is an epoxy polymer with glass fibres already integrated into the hardener – making use so easy. All the advantages of traditional fiberglassing with none of the disadvantages. Easy 1:1 mixing, strong and flexible, bridges gaps, waterproof and can even be applied in the wet to almost any surface including polystyrene. 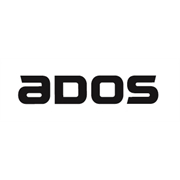 ADOS 121 is the revolutionary new way to make repairs to anything. The 1:1 mix ratio of resin and hardener and integrated glass fibres eliminates the use of fibreglass cloth, scissors, brush, roller and clean up solvent, and makes fibreglass repairs quicker and easier than ever. ADOS 121 is strong, with high tensile strength, but is also flexible. It bridges gaps and is self-supporting, so that it can be formed into almost any shape desired. ADOS 121 is waterproof – with no osmosis, non-flammable, low odour, no solvent, safe on almost any substrate including polystyrene and most plastics, produces significantly less waste compared to traditional fiberglassing methods.